While eating an apple a day may keep the doctor away, other nutritious foods can do a lot more. The healthy goodies listed below are hands-down the best foods that fight cancer. Foods that fight cancer? 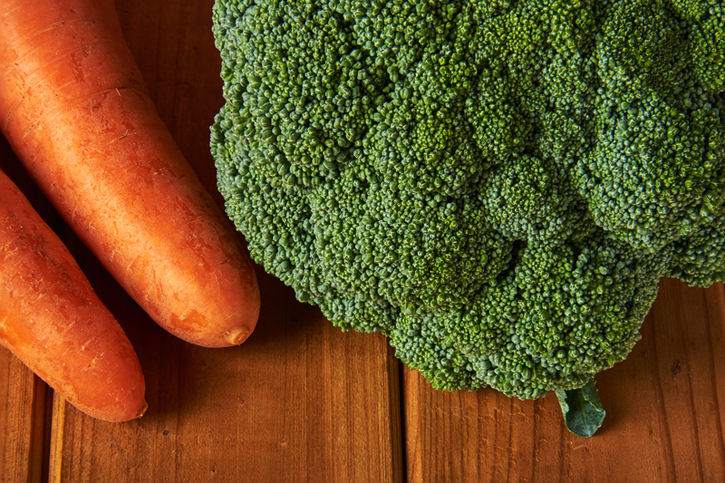 Carrots and broccoli are good places to start. As a prior oncology nurse, I’m constantly asked, “What are the most effective foods that fight cancer?” The answer is less about specific foods than about ingredients. And according to evidence-based research, five ingredients rank higher than any other nutraceuticals, and each should be included as part of an anti-cancer diet. So on your next visit to the grocery store, take this list as a reminder to stock up on items that boast cancer-fighting nutrients. Among them is tocotrienol, a member of the vitamin E family. (Vitamin E is an essential vitamin that cannot be produced in the body and must be obtained by food or supplements.) Studies have shown tocotrienol to exhibit anti-cancer properties. 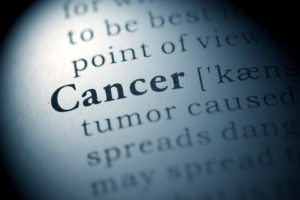 But before you head to the health food store for vitamin E pills, know that buying a supplement may not be effective when it comes to fighting cancer. Why? Vitamin E is not a single compound; it includes at least eight “vitamers” named tocochromanols. These tocochromanols are divided into either “tocopherols” or “tocotrienols.” Tocopherols are saturated forms of vitamin E, whereas tocotrienols are unsaturated. However, as part of an anti-cancer diet, palm oil, barley, and wheat germ should be avoided. Also, women with breast cancer or other reproductive cancers should not consume flax (click here to learn more about the dangers of flax). Ellagic acid—a dietary flavonoid polyphenol that’s abundant in raspberries, blackberries, pomegranate, muscadine grapes, cranberries, strawberries, walnuts, and pecans—has been shown to inhibit cancer cells proliferation and induce apoptosis (cancer cell death). D-limonene is an oil nutrient (called a terpene), an amazing natural compound found in the peels of citrus fruits such as lemons and oranges. It is also an important ingredient of the flavor and aroma profiles of anise, black pepper, cinnamon, coriander, ginger, lavender, mint, nutmeg, rosemary, sage, thyme, and other herbs. In laboratory studies, D-limonene has shown to have anti-inflammatory and anti-cancer effects. Specifically, D-limonene alters the signaling pathways within cancer cells that stops the cells from multiplying and also causes their death (apoptosis). In particular, D-limonene slows the growth of breast, colon, lung, stomach, pancreas, skin, liver, and head and neck cancers. Sulforaphane is a powerful chemical that, when eaten, stimulates the production of antioxidant enzymes in the body that neutralize free radicals from external and internal sources. Sulforaphane is well-known for its antibacterial properties as it combats infections such as Helicobacter pylori (h. pylori), but it has been most touted for its anti-carcinogenic (anti-cancer) properties. Specifically, sulforaphane possesses the capacity to intervene in multi-stage cancers through the modulation or regulation of cellular mechanisms. Furthermore, sulforaphane activates cancer cell death (apoptosis). Sulforaphane is found in cruciferous and green leafy vegetables such as collard greens, kale, bok choy, cabbage, mustard seeds, cauliflower, Brussels sprouts, turnips, and turnip greens. But it is most abundant in broccoli, especially sprouted broccoli seeds. When following any anti-cancer nutrition protocol, broccoli is a must! In the past two decades, isocoumarin has attracted attention due to its anti-cancer, anti-diabetic, antibacterial, antimalarial, and fungicidal effects. One miracle food in particular contains the highest levels of isocoumarin along with other cancer-fighting compounds: carrots. So, there you have it… the top five anti-cancer nutrients. There are several other healthy foods, too, that fight cancer and are proven effective by clinical research, among them green tea, cherries, garlic, turmeric, and apple cider vinegar. But the five chemicals above rank as or with the highest and should be included in any cancer-fighting dietary regimen. Genes & Nutrition. 2011 Apr; 7:220. J Chem Biol. 2015 Apr; 8(2): 45–59. International J of Oncology. 2015 Apr; 46(4): 1730-1738. Food & Chem Toxicoloy. 2016 June; 92: 8-16. Food & Function. 2015; 5: 1373-1378. Southern California Conferences for Undergraduate Research, 2017. Nutrients. 2016 Nov; 8(11): 744. Cellular Phys & Biochem. 2017 June; 41(6): 2374–2382. J of Cancer Research & Therapeutics. 2016; 12(4): 1266-1271. Redox Biol. 2015 Dec; 6: 461-471. Cancer Biol & Therapy. 2017 Nov; 18(12): 990-999. Oncology Targets Ther. 2018; 11: 1833–1847. Am J Cancer Res. 2015; 5(5): 1580–1593. The Scientific World J. 2014 Oct; 953451. Antioxid Redox Signal. 2015 Jun 1; 22(16): 1382–1424. Expert Opinion on Therapeutic Patents. 2017 June; 27(11): 1267-1275.
anti inflammatory, antioxidant, apple cider vinegar, beta carotene, bladder cancer, breast cancer, cancer, cancer cell, cancer cells, cancer diet, cancer nutrition, cancer research, cancers, carotenoids, carrots, cauliflower, cholesterol, cholesterol lowering, coconut oil, colon cancer, cooking, coriander, d limonene, dangers, diabetic, diet, endometrial cancer, esophageal cancer, eye health, fight cancer, fighting cancer, food, free radicals, garlic, ginger, grapefruit seed, grapefruit seed oil, green tea, h pylori, health, health food, helicobacter pylori, isocoumarin, kale, lavender, leukemia, limonene, lycopene, nutrients, nutrition, ovarian cancer, Pancreas, pomegranate, Prostate, prostate cancer, sarcoma, skin, skin cancer, sunflower oil, supplement, supplements, thyme, tocotrienols, turmeric, vegetables, vitamin, vitamin a, vitamin e, walnuts.